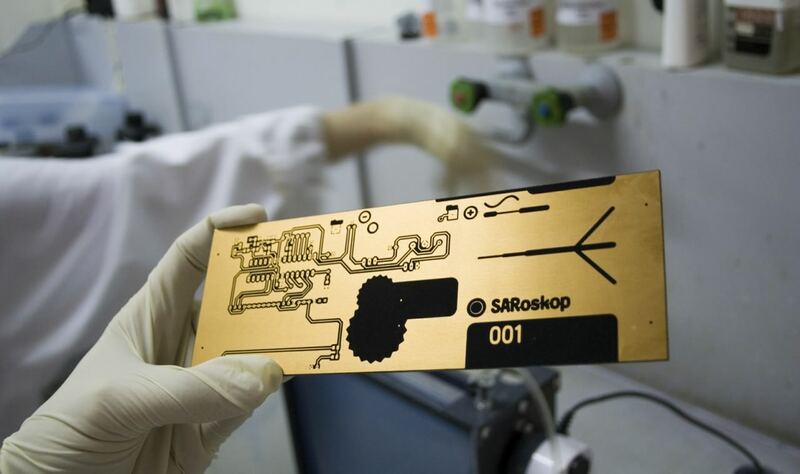 The project SARoskop is dealing with the visualisation of electromagnetic waves. 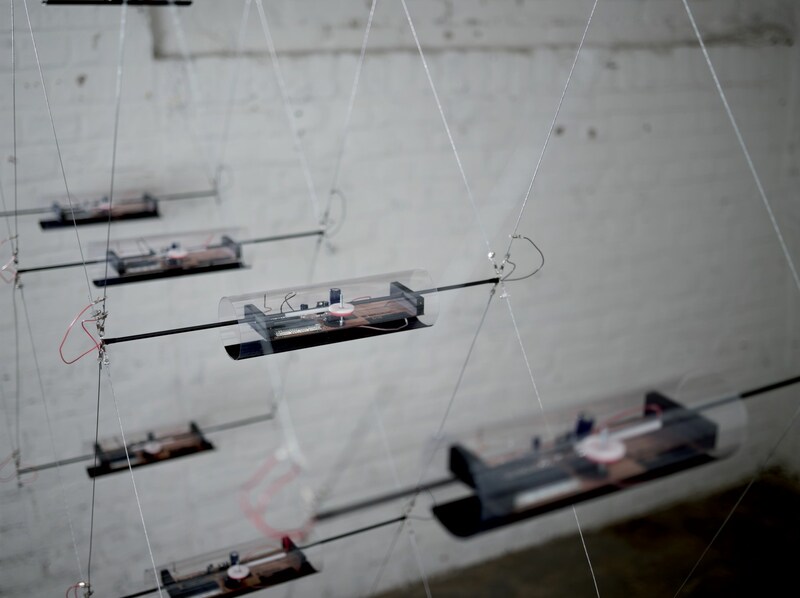 In a matrix of up to 25 objects the installation is composed as an interactive sculpture reacting sensitively to the data of the proximate surrounding, transforming it into movement and interdependent oscillations. The sound of the moving mechanical parts interfuses the viewers perspective on the installation and together with blue-lighted displays supports a vibrancy of its own. 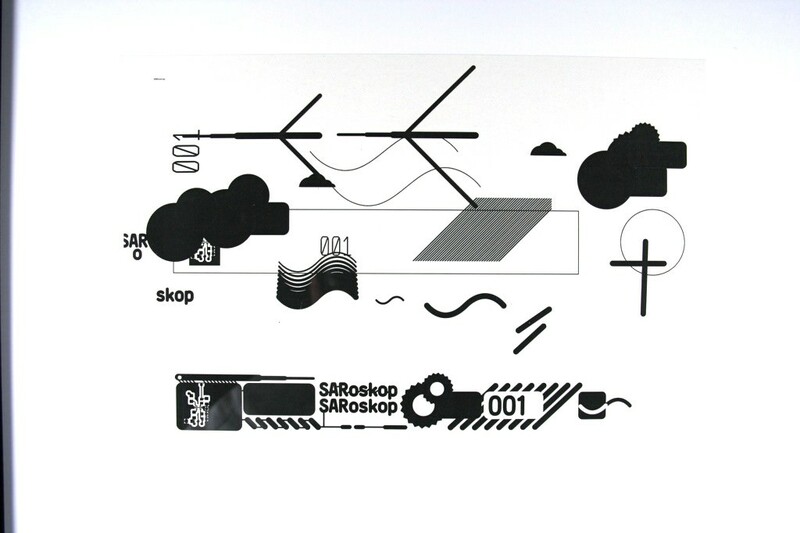 Saroskop is a modular work. 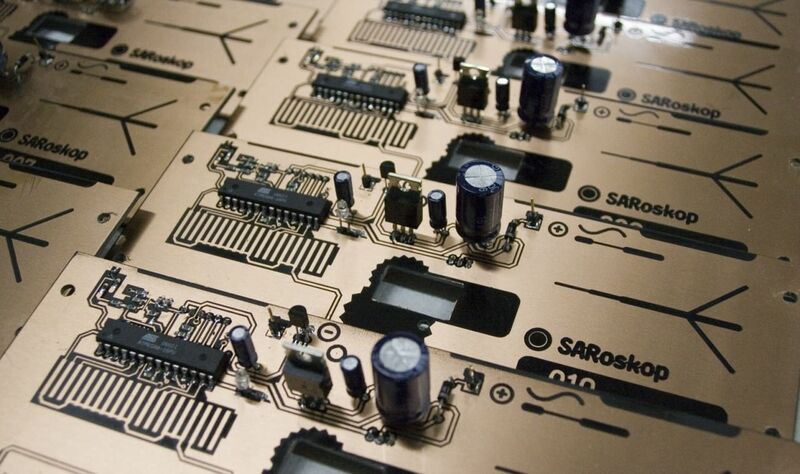 The single module consists of a transparent cylindrical body, containing the electronics and mechanics. 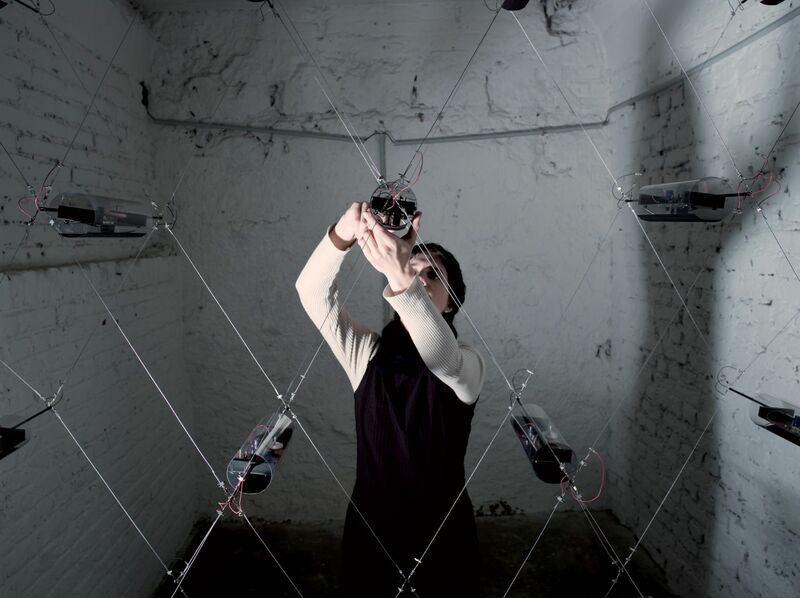 Gearwheels and a gear rack move a bar visualising in its movement the intensity of electromagnetic waves. A total of 25 of these objects form a net, connected by thin, conductive steel ropes. This matrix is freely suspended from the ceiling as an independent space element. (Adjusted in parallel nets as positive and negative pole) indicating in its movement the formation of electromagnetic fields. Individuals orientate themselves in certain frequency responses. 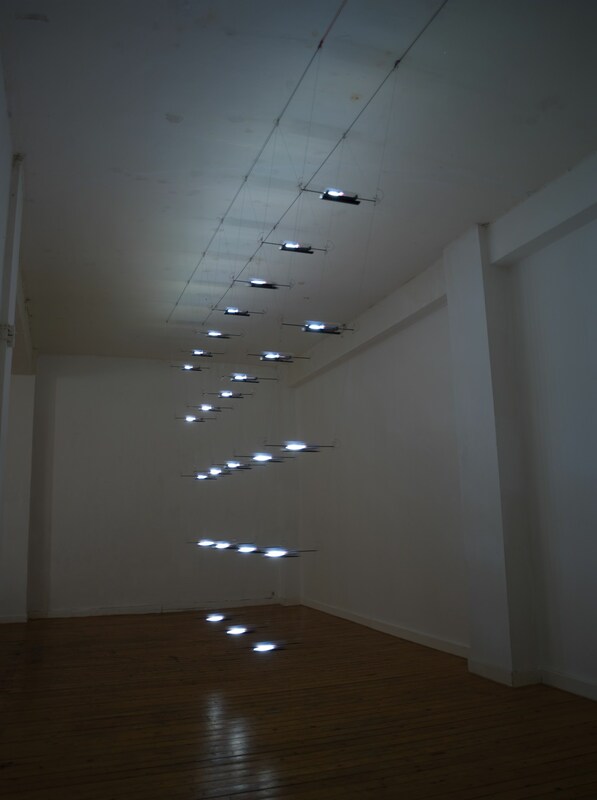 The installation transfers the electro-sensory taken up data of a specifically chosen spectrum in a perception visible and audible for the participants. The selected spectrum encloses 900 to 2400 MHz, i. e. frequency from the range of cellular radio, wifi, TV, UMTS, radar. The participants of the installation are influencing the movement and the intensity of the reaction of the objects by application, e. g. use of their mobile phones. At the moment of data transference via cell phone activity the intensity is taken up and transmitted to the mechanics by the sensor technology and the aerial. The mechanics' movement is set into an accordant rhythm. 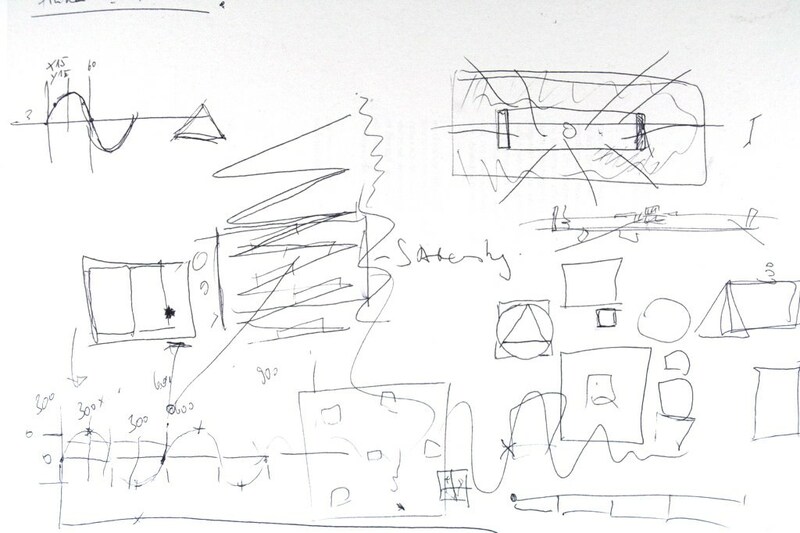 The sound created by the mechanics of the objects is subliminal in its initial state. 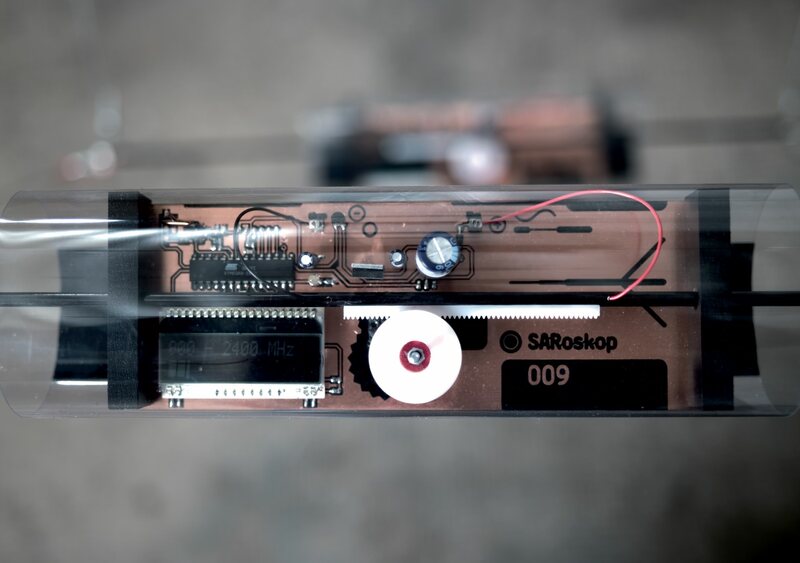 When activated by electromagnetic waves not only the movement and oscillation frequency increases but also the inherent sound of the servo motors. It unfolds to an crescendo together with the movement, interfusing the atmosphere with a constant but exhilarating, almost nervous noise. The installation is presenting a visualisation and involvement with a current topic of our environment without creating a fearful atmosphere. As an open, modular structure, combined with the sound of the mechanical parts and lighting of the displays on the circuit board, the installation is exhibiting a balanced versatility in collaboration with the participants.